Sherry Fell & Barbara Blais built their SE Florida Real Estate company on the belief that all clients are entitled to the highest level of integrity and the most up-to-date knowledge of the market possible. All our licensed Real Estate agents strive to give exceptional service and support throughout every step of the buying and selling process and beyond. In addition to being active in the local real estate for over 25 years, 5 County Real Estate agents have well established ties in both the Domestic and International Markets. They are members of 5 different National MLS, and International MLS. These relationships allow us to assist people from all over the world to find the home of their dreams in Broward County including Coconut Creek, Coral Springs, Dania, Davie, Deerfield Beach, Fort Lauderdale, Hallandale Beach, Hollywood, Lauderdale Lakes, Lauderhill, Pembroke Pines, Plantation, Pompano Beach, Miramar, Southwest Ranches, Sunrise and Tamarac. After meeting us “on-line,” we hope you will contact us directly. We will happily answer any questions you may have. 5 County Real Estate never ceases to amaze with beautiful homes and properties for every taste and lifestyle. We have knowledgeable agents who can find the perfect property to meet and exceed your desires. Whether it is a luxury property, golf property, or lakefront property, we can turn your dreams into a lifetime of happiness! We are local SE Florida Real Estate experts and are available to answer questions about properties, neighborhoods, schools, and the newest listings for sale in Broward, Dade, Palm Beach, and Monroe Counties. Our real estate experience enables us to spot trends giving you up to date information about home buying and selling trends. If you’re looking to sell your home in the S Florida area, agents are available to assist you in negotiating the best price. 5 County Real Estate, will aide you in both the buying and selling of your home or commercial real estate process with referrals to banks, loan companies, moving and storage, a full service experience providing a better value for home buyers and sellers in and around all of South East Florida. 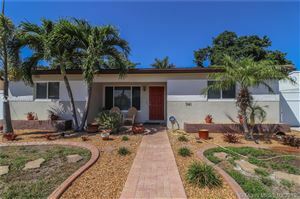 Call 954-999-5207 for immediate attention and see all our homes for sale in Sunrise.